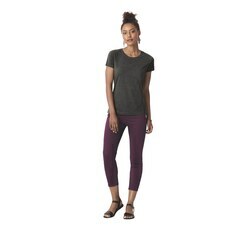 Part of Gildan’s signature Softstyle collection, the Gildan G640L is a popular, 4.5 oz fashion-forward tee made specially for ladies. Gildan G640L fitted t-shirts offer a slim-fitting silhouette, are 100% preshrunk cotton, and are made using side-seams for added structure. With double-needle stitched sleeves and bottom hem, a rib knit collar, and taped neck and shoulders, G640L tees are among the most popular, soft fitted t-shirts for women. Perfect for layering or creating a trendy graphic tee, the G640L is the ideal slim-fitting shirt to accentuate the unique silhouettes of women everywhere. Get yours now!